2005 Domaine Fontaine-Gagnard, Pommard 1er Cru, "Rugiens"
Domaine Fontaine-Gagnard, Pommard 1er Cru, "Rugiens"
The warm dry vintage of 2008 has resulted in aromas of white peach blossom mingled with Bon Chretien pear. 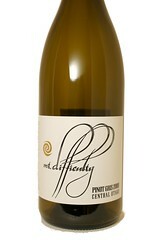 The palate displays luscious fruit in the same vein, while the mid palate is full, creamy and well textured. 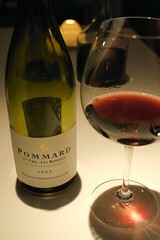 The wine has a rich minerally, stonefruit driven finish. When Marc Ollivier is on, these are the top wines of the AOC - wines that are not only delicious young, but that can also age 10, 20 or 30 years. 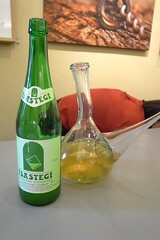 Ollivier's Muscadet-sur-Lie is the authentic item — it has lees contact until the time of bottling, generally in late May. 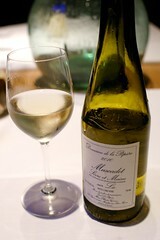 This extended contact gives it the crispness that makes Muscadet so refreshing, and the classic wine match for seafood.